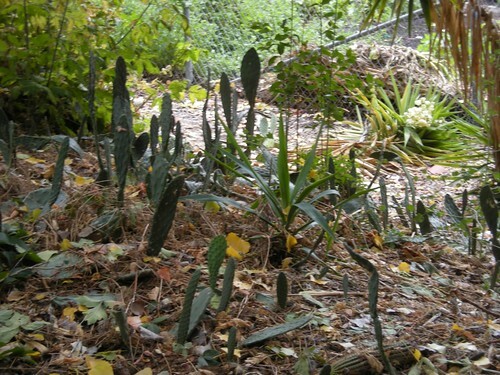 This is an update on my blog entry “Gardening Around the Homeless” dated 10 April 2006. We live on the bank of the Guadalupe River in Willow Glen, California. 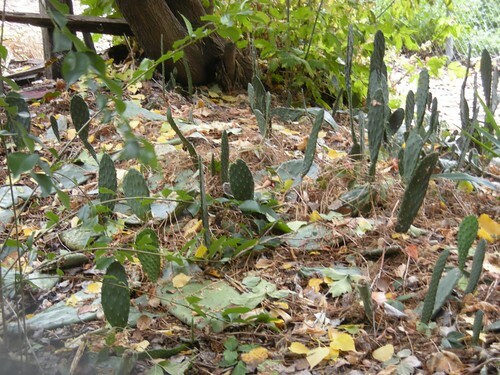 In 2006, I started to create an informal cactus fence to deter homeless transients from passing through or camping on our river bank. I am even more motivated to continue this project by two big river bank fires recently caused by homeless campers just upstream of our property. 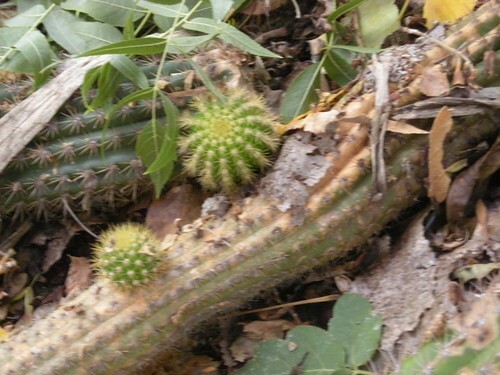 I have planted both Echinopsis and Opuntia (prickly pear), plus some Yucca for height; they are all growing well. Sounds snobbish to me. Certainly not a christian way to handle this.